Got the Jameson Distillery Reserve when I went to visit my sister in Ireland 2 years ago. The Kilbeggan 21 is Amazing, but they are not continuing it anymore so I can only open on rare occasions. Was just gifted the Park Cognac Cigar Blend and it’s damn good! Also enjoy pairing with these. Whistle Pig is my choice of whiskey. My choice for whisky would be Laphroaig...and you get a small piece of the Islay island !! One of my computer clients pours me one as I begin working on his machine. The first few sips brings huge flavours of smoke, peat and seaweed and I wonder who in the world likes this stuff. By sip number 4, I`ve done a 180 and start to really enjoy it and at sip number 5 promise myself to pick up another bottle for myself. And like Anthony O, says, with each purchase, you get a sq. ft. of Islay. I`m closing in an a quarter acre now. Ahhhh I remember my first Laphroaig.... thought the sofa was on fire!! Accumulatorette and her cousin recently toured the 4 Roses Distillery, had a great time and *REALLY* liked one of their Limited Batch ones. Their selection is infinitely broader than I`d have thought, but their top-shelf stuff is apparently hard to fine. Just did a tour of local distillery, Copper Fiddle in Lake Zurich, Illinois. They make 5 different spirits, but their bourbon is by far the best. I`d recommend a bottle if you can find it. This thread reminds me that I need to start drinking again to go thru my "collection". If anyone plans to go to the Keenland Concours this summer, it is worth taking the time to tour Woodford Reserve Distilllery, which is about 15 miles to the northwest. Their tour is really first-class. Their products are not bad, either. 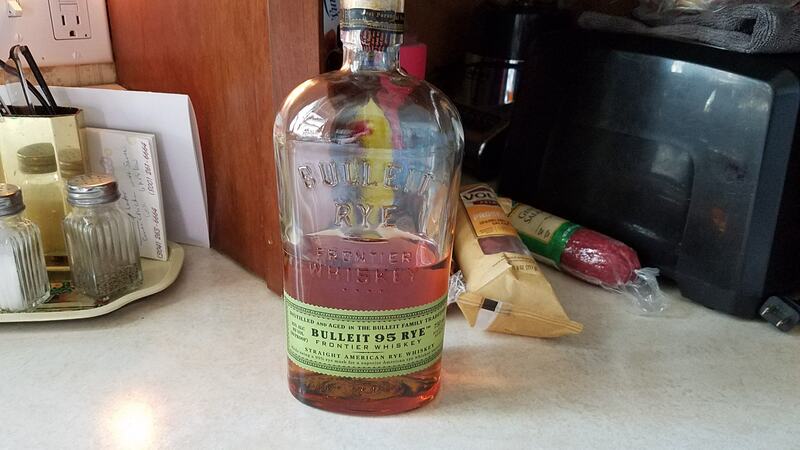 Picked this up the other week, Bulleit 95 Rye from Frontier Whiskey. By itself over ice is a little bit too much, even for me (the guy who can down alot of Jager shots, lol! ), but mixed in something like say a Manhattan makes an excellent drink! Definitely powerful on the first sip, but definitely some fruity overtones IMO.